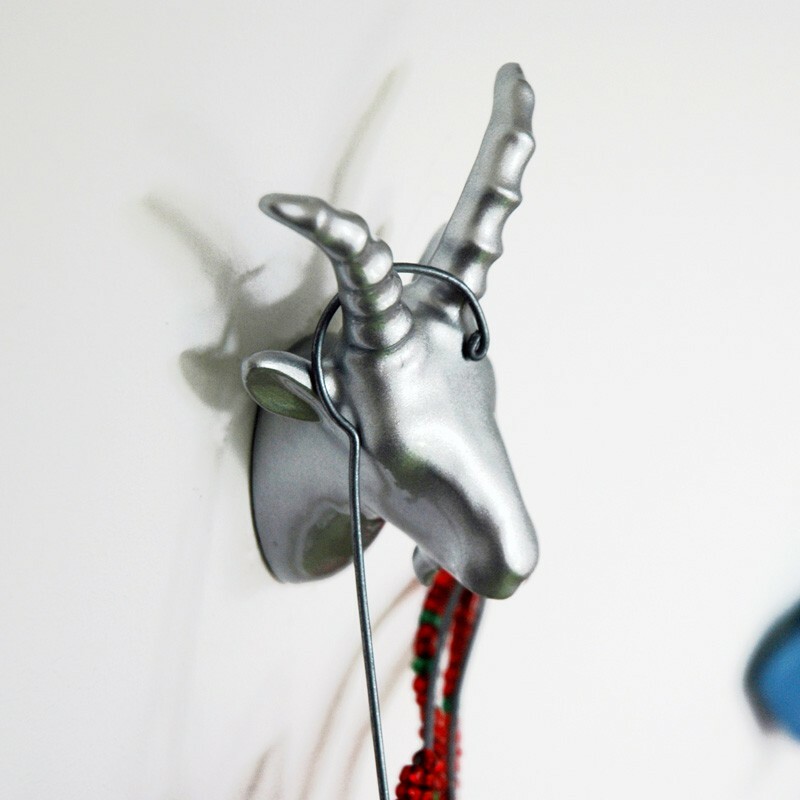 In need of a practical and eye-catching alternative to conventional hangers? Don’t play the goat. 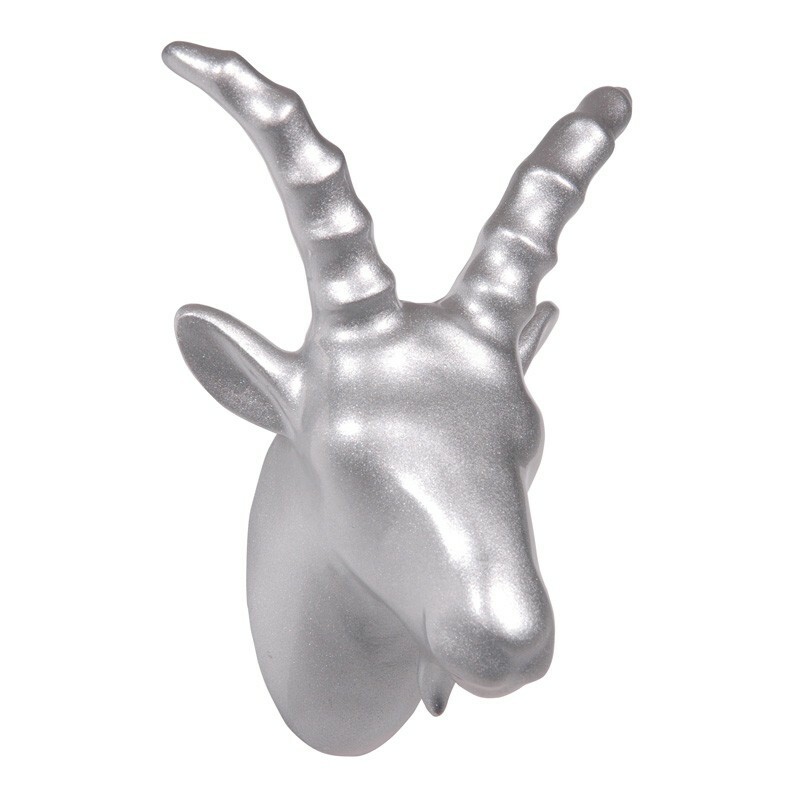 The Billy Goat Coat Hook will handle it for you and tidy up the place by hook or crook. 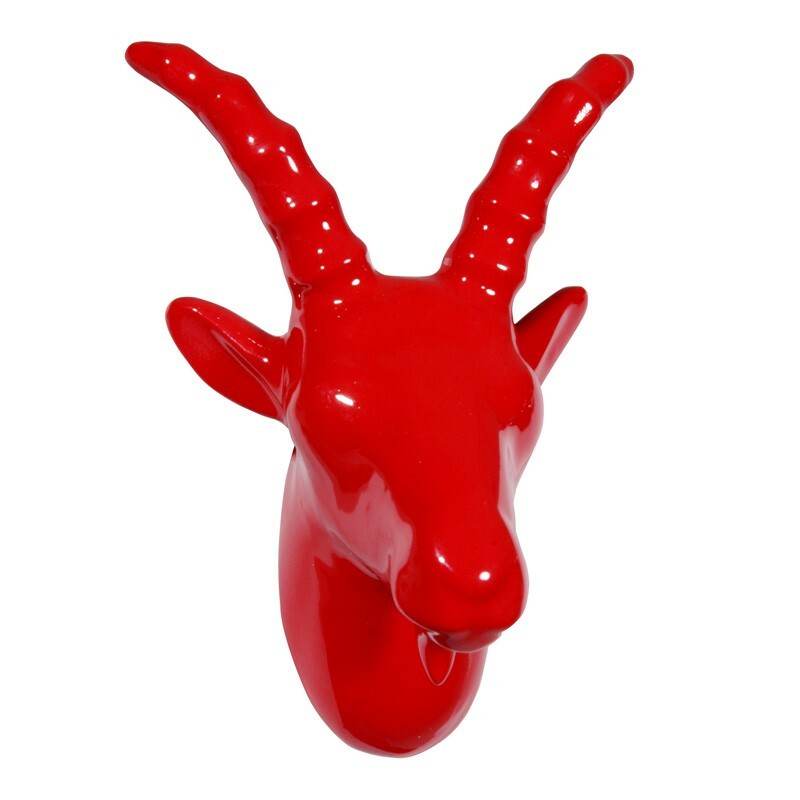 Fit it on your wall with the screw and plug provided, and this polystone miniature goat head has got it sorted! A Jorine Oosterhoff creation and a member of The Zoo collection, it’s not the most baa-shful of billy goats. If hanging all your coats, accessories, lanyards, memos, keys and photos is the kind of task that separates the sheep from the goats, then this is the hook for you. Don’t worry, he won’t eat any of them; his specialty is hanging on to them until you need them! 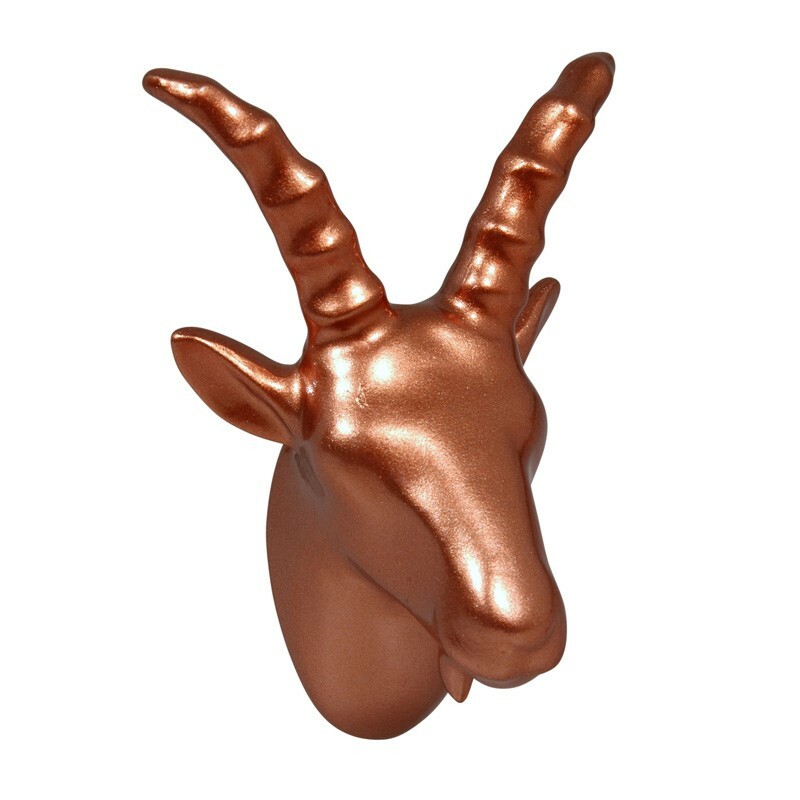 This animal trophy head wall hook comes in three colours: red, silver, and copper. 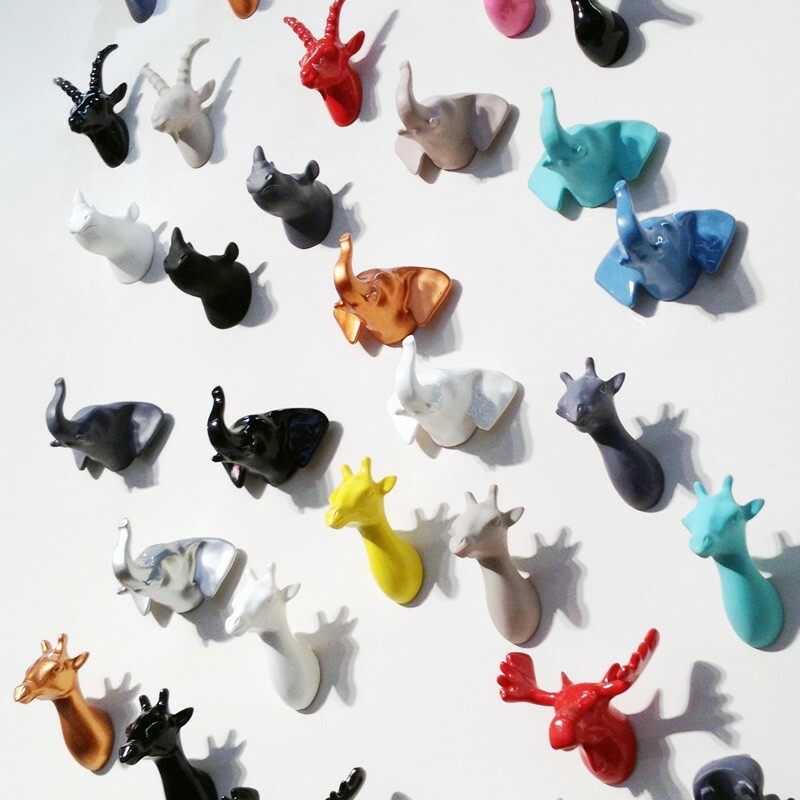 Together, in formation or randomly arranged, they make a fantastic accent piece for the hallway, kitchen or bedroom. See the other animals in the range on the right hand side of the page - including a deer, giraffe and more!